Be overwhelmed by the spectacular beach, ocean and hills views. There's nothing like smelling the salt air and listening to the waves come crashing in as you're relaxing on the deck. Picture yourself at this perfect holiday location, when only the best of everything will do. Walk from your backyard to Easts Beach or be overwhelmed by the spectacular beach, ocean and hills views. This refurbished house with polished timber floors, kitchen, games room and large deck with BBQ. All three bedrooms have double beds and two of those rooms also have double bunks, one single bed on top of the other, so a multitude of sleeping combinations is available. Only 1.5 hours from Sydney, Kiama is a thriving seaside town only minutes to Gerringong, Jamberoo and Gerroa. 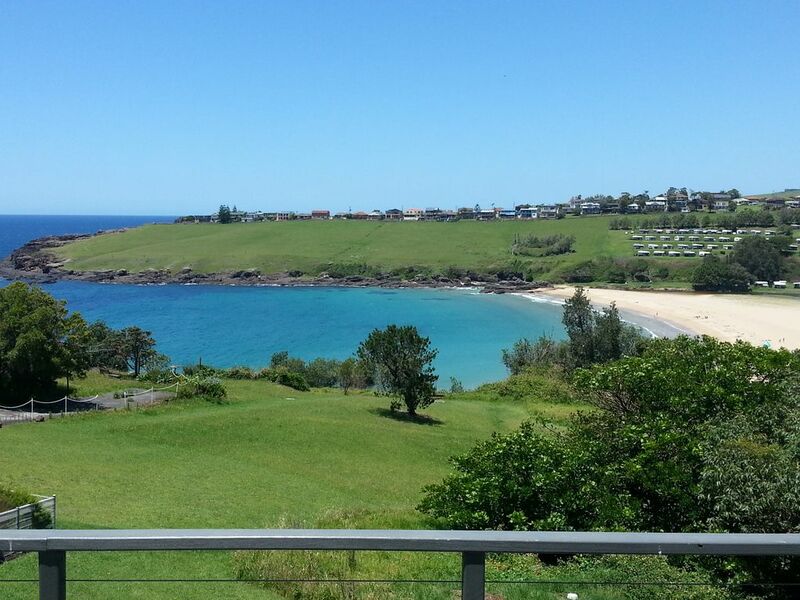 Close to local beaches, fishing, cafes, Kiama Blowhole, Terrace House craft and much more. Weekend (Friday and Saturday) price applies even when booking Thursday and Friday or Saturday and Sunday. Bookings are for a minimum of 2 nights on weekends throughout the year and weekly during the Christmas/January school holidays. We do not supply linen or towels. Outside shower. Nothing like coming back from the beach and washing the sand off under a warm shower. The view is fantastic and the property very comfortable with all the facilities needed. The kids loved being able to walk down to the beach directly from the house. Frank was quick to reply. The kitchen was well equipped fantastic views and lovely outdoor entertaining area. Wonderful house with great facilities and and even better location, Frank the owner is great to deal with and quick to respond to enquires.